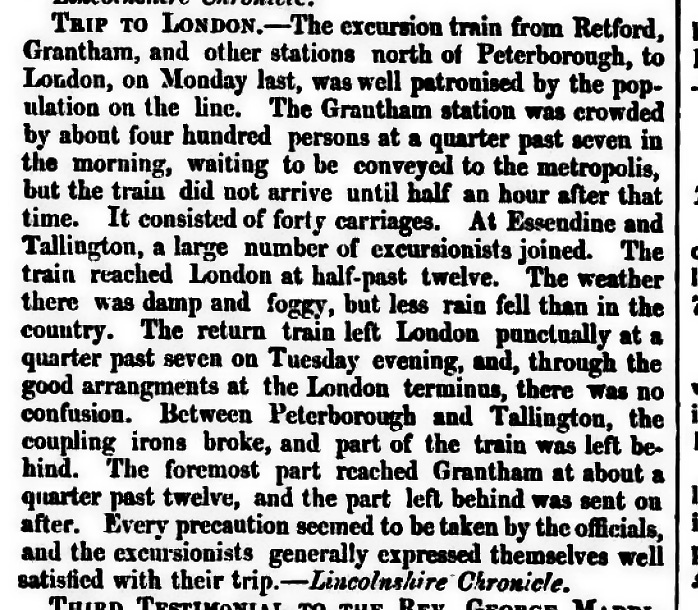 The railway gave many people their first opportunity for a trip to London. Below is the story of a one night city break 1850s style. On the way home they weren't going to let the small matter of a broken coupling spoil the fun!